This week, Jonathan’s feeling nostalgic with the release of Stranger Things Season 2, so we started talking about the continuing trend of rebooting and remaking television shows from years ago. We hit on a few shows that have already been rebooted (successfully, and not so much), as well as planned reboots or misfired attempts, and the ones that should be left alone (we’re looking at you, folks who want to remake Xena. Leave it be.) The good news is Jordan Peele leading a revival of The Twilight Zone for CBS All Access, which is probably the highlight of all the proposed remakes so far. What 70s-80s-90s shows are on your “reboot now” list, or on your “leave it alone” list? Call 602-635-6976 and leave a message, send Summer an email, or have your say in the comments below! I agree with your comments on streaming/media. I have been attempting to buy many series’ I love for the fact that they cannot be found on streaming sites or TV. SyFy has been doing fairly well on new content, but ignores years of scifi history. I have a station on cable called Comet TV that has some interesting stuff, but nothing special. Netflix has regulated itself to mostly new content as well. I do not have Hulu, but might have to subscribe. No matter how you look at it, streaming services are better for TV series than disc, but they have to be there in the first place!! Us older scifi fans will have to have physical copies of these shows or we may never see them again. Same goes for many movies. I have almost every scifi/fantasy/horror film I’ve enjoyed on either DVD or Blu. The good news about DVD is that they have become so cheap on a lot of used markets and close out stores (not Amazon or Ebay), that they are worth buying just to have your own copies. There are a lot of older shows that I still have discs for, but a number of others that I haven’t kept over the years. And of course, some that haven’t shown up. 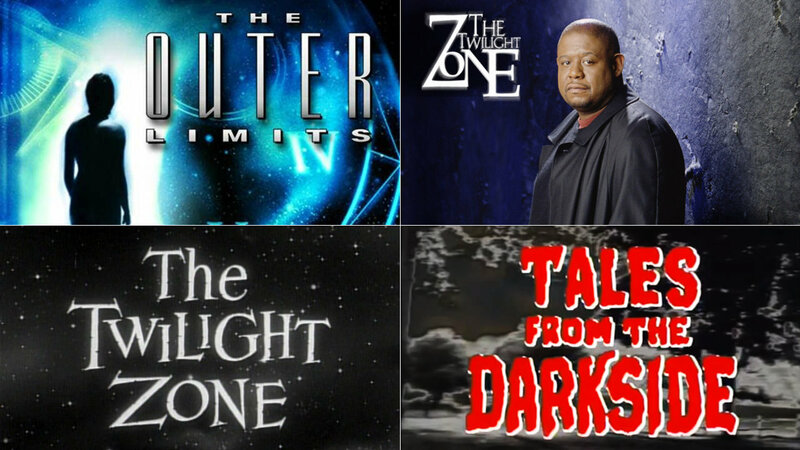 Shows like the original Twilight Zone and Outer Limits aren’t likely to leave streaming anytime soon, but I’d also like to be able to watch the reboots from the 90s, but those aren’t streaming, that I’ve seen. That’s the drawback with the anthology shows… sometimes you just want to rewatch your favorites now and then, and not necessarily want to dig out the discs to do so. I’ve seen Comet TV on Verizon FiOS, been tuning in now and then to watch episodes of Andromeda (I love the first season theme song). Looking forward to seeing what else they start airing. I got lots tv shows on dvd but still there is lots from the 90 that I’ll love to have but they never were released (especially in UK).